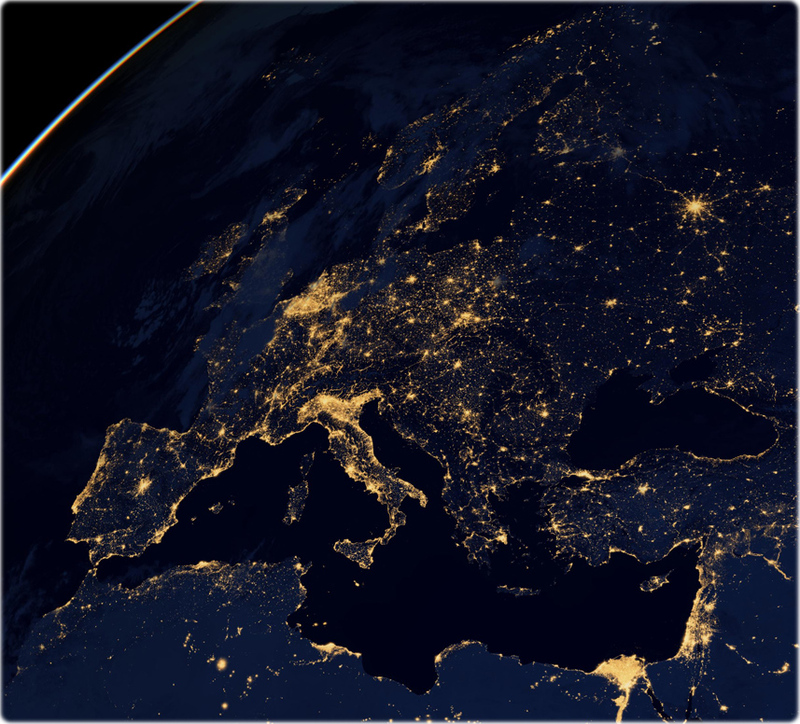 This image of Europe at night is a composite assembled from data acquired by NASA in April and October 2012. Greece, Bulgaria and Turkey. 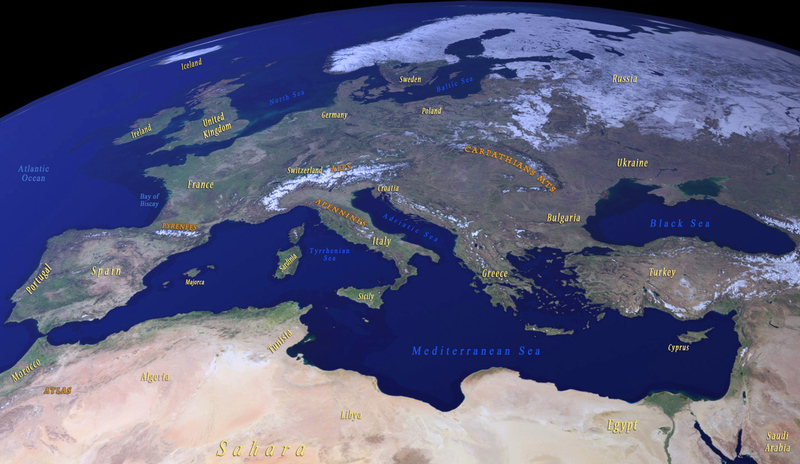 Maps of European countries, Satellite Images of Mediterranean Sea - Europe and Africa. Travel Online geographic resources..